The ultimate disaster in addictive facts. You won’t be able to tear your eyes away. The whole story of the most famous doomed ship in history: eyewitness accounts, diagrams, maps and technical facts. 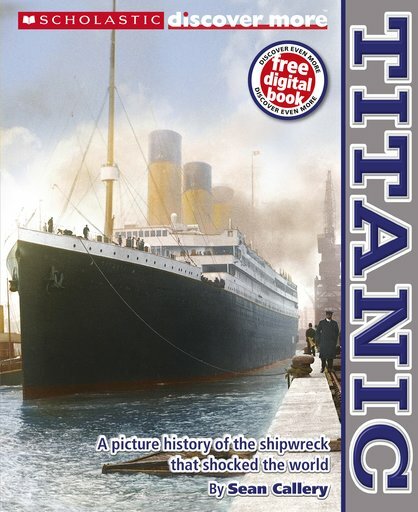 See the layout and build of the Titanic in stunning new cross-section art created just for this book. Explore the ship deck by deck in amazing visuals, learning about its owners, builders, crew and passengers. There are heaps of incredible photos of the ship – including the dining rooms, Turkish bath and swimming pools. Wow. Plus moving eyewitness accounts from survivors, and a timeline countdown to the disaster. Still want more? The FREE digital companion book is packed with activities and cool interactive stuff.